7- or 9-inch screen coming in Autumn 2009? Apple is rumoured to be preparing a larger screen version of its popular iPod touch device, set for release in the autumn next year. 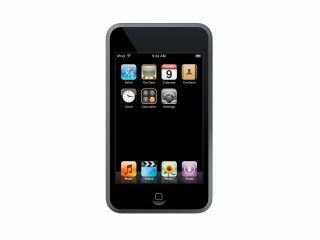 TechCrunch reports that it has the rumour on good authority "from three independent sources close to Apple" and that we are to "expect a large screen iPod touch device to be released in the Fall of '09, with a 7 or 9 inch screen." The report continues: "Prototypes have been seen and handled by one of our sources, and Apple is talking to OEMs in Asia now about mass production." TechRadar agrees that the killer combo of Apple's App store, iTunes and a workable browser on a portable, larger-screened iPod touch would certainly be "one heck of a device." "I'm not saying Apple is definitely launching a large form iPod Touch. But sources I trust are saying they are currently planning to, and one source has actually held the device," adds TechCrunch. Let's hope those sources are as reliable as the reporter states.